The family of R.C.O. [Robert Charles O'Hara] Benjamin. 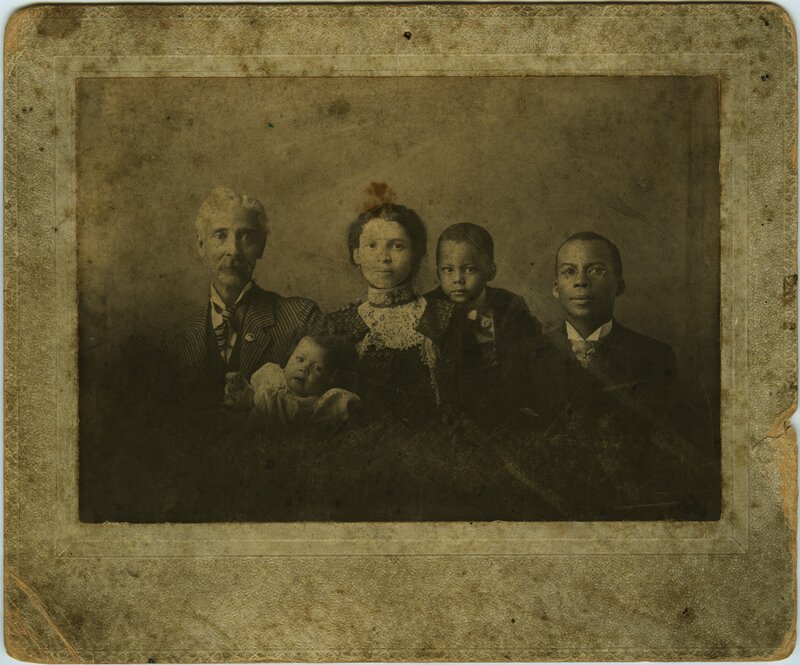 Picutured in the photograph are Robert Charles O'Hara Benjamin, 45, Lulu Maria Benjamin, 27, Robinson Charles O'Hara Benjamin, 4, Lillian Allen Benjamin, 4, and grandfather W.S. 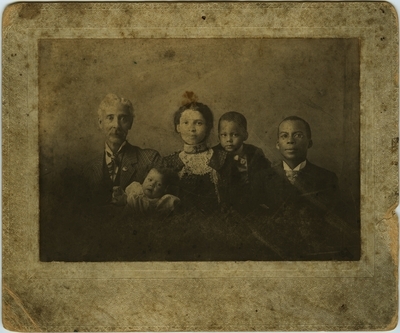 Robinson, 53; written on the back of the photo "LAST PICTURE OF THE BENJAMIN FAMILY. R.C.O. Benjamin was assassinated Octer 2, 1900. This picture represents his family group taken during the visit of Mrs. Benjamin's father, W.S. Robinson of Alabama, September 19, 1900, twelve days before the tragedy."